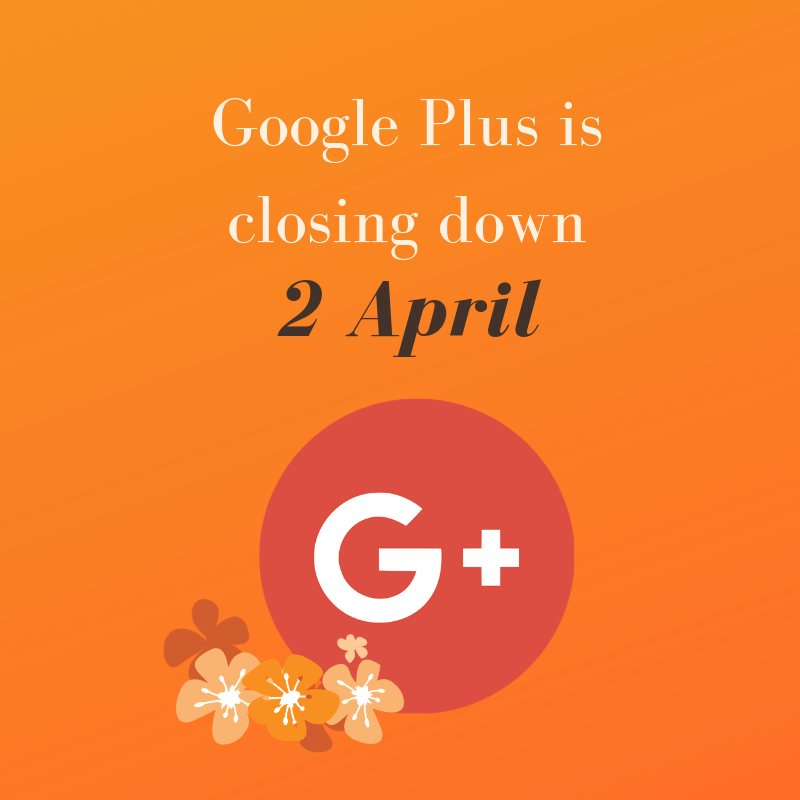 Google Plus (G+) is closing down – Google’s social media platform will be no more. Google+ was originally due to shut down in August, but this has now been brought forward to 2 April 2019. It is only Google+ that will be gone forever. Other Google products, such as Gmail, Google Photos, Google Drive, Google Analytics etc will NOT be impacted. However, your Google My Business page is very important in terms of your relationship with Google and SEO (search engine optimisation). Many people don’t realise you can post on your Google My Business page, so make sure you do put some effort into this … find out more in our blog. Google Plus was a social media platform – much like Facebook that also had ‘communities’ instead of groups. It was useful to post on – even if just for the potential SEO benefits. But as a social platform, it never took off. It was also doomed after a software bug was discovered – apparently giving developers the opportunity to access private profile data of over 500,000 users. However, Google reported that there is no evidence that anyone was aware of this, so the data was not misused. In relation to Google Plus itself, unless you have anything on your Google+ personal and business pages that you want to keep, you don’t need to do anything. If you do want to save something, Google issued instructions on how to download and save your Google+ data. remember to ask clients for Google reviews – again this is great for your SEO and encouraging people to use your services. See our recent blog on how to ask for Google reviews. If you need any help with SEO and your Google My Business page – please get in touch.